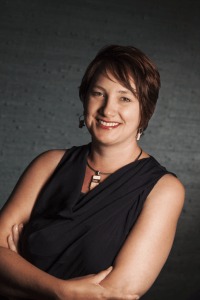 Tanya Shively, ASID, LEED AP, is Arizona’s foremost authority on green design. She is the principal interior designer and founder of Sesshu Design in Scottsdale, Arizona. Her mission – to create innovative, sustainable and timeless designs that improve people’s health and well-being. “I wanted to make a difference in people’s lives by helping them to create a beautiful home that is healthy for them and healthy for the planet,” she says. Tanya brings to life homes that are beautiful and sustainable. Her lifestyle mirrors such eco-friendly designs. Her favorite place is in the mountains where she’s often hiking, skiing, sketching and meditating. Tanya’s green designs stem from her creative, outdoorsy childhood in Jackson Hole, Wyoming. Early on, she loved to create. The way she played enriched her passion for design. Gravitating toward Legos and Lincoln logs, she would have rather built a dollhouse than played with dolls. “The design aspect was more important to me than playing make believe with it,” she says. Tanya made a hobby of rearranging the furniture in her bedroom. When her parents asked what she wanted for her 12th birthday, she requested materials to redecorate her room. It was originally her aunt’s, who grew up in the 1960s. Characteristic flower power paintings covered the door amid stark white and lime green walls. Tanya was not satisfied. It was 1980 now – she transformed the room with a cream color palette, pink accents and ruffles. Then she expanded her ambition to the whole house. A modest older farmhouse built by her grandparents offered the budding designer a unique canvas. A rancher had designed the home, definitely not an architect. She tried every arrangement she could think of, learning basic planning by trial and error. She loved riding horses on the family ranch. Grand Teton National Park was just across the way. Tanya rarely took these natural wonders for granted. Amazed by the sweeping scenery, she’d often stop her car and admire the sun peeking through the mountains. She felt enveloped by the down-to-earth atmosphere, absolutely in awe of the wildlife, lakes and fields – all coming together to create stunning landscapes. Her gratitude for nature inevitably inspired her designs. Tanya’s home environment motivated her design in another way. Because her father suffered from severe asthma and allergies, the family was always aware of any dust around the house. At the time, society didn’t recognize how a person’s home could affect one’s health. Tanya, however, realized the impact of indoor air quality on a personal level. Tanya’s path through schooling offered her some exposure to interior design. She took art classes throughout high school, then an interior design class senior year. By then, she was sure that was her career path. Her art teacher followed her class during elementary school, junior high and high school. “I already had the natural inclination in art, but having him as a teacher cemented that for me,” she says. However, interior design opportunities were limited in this small town. Mostly she gained inspiration from magazines and catalogs. After taking a couple years off, she attended Montana State University and after moving to Arizona, considered Arizona State University. However ASU’s interior design program focused more on commercial design, which clashed with Tanya’s passion for residential design. Instead, she chose the acclaimed interior design program at Scottsdale Community College. 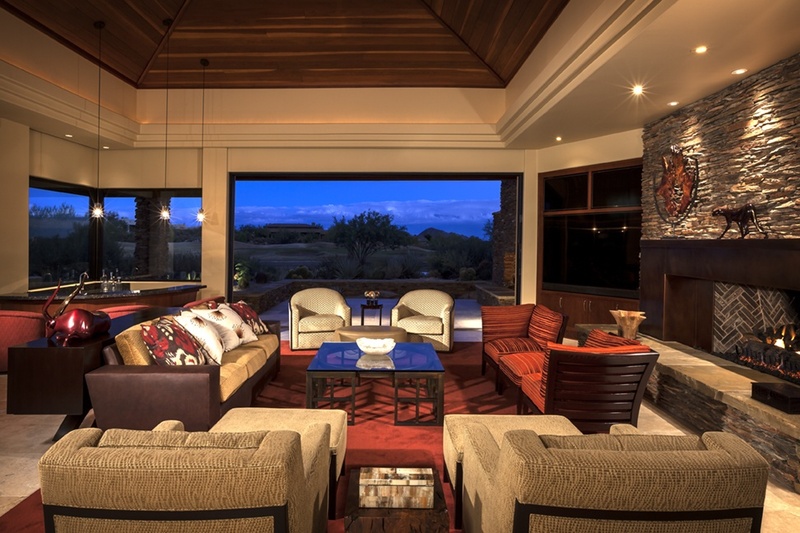 In Scottsdale, she found an oasis for residential interior design. After college, she worked for a well-respected and long-time designer in the Scottsdale area for nine years. She honed her business skills and developed her personal mission – the fuel she needed to start her own firm in 2005. Tanya’s firm, Sesshu Design, creates unique interiors that are both luxurious and eco-friendly. All of Tanya’s designs provide her clients with warm, welcoming and comfortable living environments. Remembering her father’s respiratory health issues, she specifies furniture, carpeting and paint that are free of toxins. While appreciated for green design in her region and beyond, she is also known for pleasant customer service. Her firm maintains close connections with its clients. Tanya enjoys working with clients who come to her with creative ideas but are also open to her guidance. Her ideal client is a collaborative partner. “I appreciate the synergy created by multiple creative minds at work on the same challenge,” she says. Her clients include many successful professionals such as CEO’s, top level managers, business owners and entrepreneurs. “Repeat clients are your best advertising,” she says. Tanya often does repeat projects for her clients. She worked on four separate projects for one client. This is a testimonial to the service she provides. Since Arizona attracts second home owners, she often meets clients at their second homes near her firm, then works on her clients’ other homes in California, Colorado, New Mexico and Wyoming. She enjoys traveling and contributing her interior design expertise to a variety of architectural styles. “Working in new places adds another layer to what I do,” she says. While she seeks out travel, Tanya values being at home, too. The oldest of seven siblings, she feels at home in ‘her village’ – her large family in Jackson Hole. Her small-town upbringing reminds her why she chose residential interior design … because home is where people return to recharge their batteries and attend to their well-being. She instills that peaceful feeling in her clients’ luxurious yet eco-friendly homes. Her designs, first and foremost, promote healthy living. “A gorgeous home can also be a healthy home,” Tanya says. View more of Tanya’s work at www.sesshudesign.com.